Posted 10/16/2017 1:21pm by Gregg Keckler. Posted 10/16/2017 1:18pm by Gregg Keckler. This is the last week of the fall session. So it is pick-off-the-table week. Come prepared to pick your own share. Half shares get $22, personal shares get $13, and full shares get $44. This is the last week of the fall session. We will no longer be making deliveries to Woodlake Towers or River Towers for the Extended Fall session. We will be delivering to DOT farm stand , NGS farm stand, Belle View Condos, East Columbia Library, Westminster Farmer's Market, and St Luke's farm stand for the Extended Fall Session. The Extended Fall session will begin on Tuesday, October 24 and end on Saturday, November 18. Sign up now. Posted 10/16/2017 1:15pm by Gregg Keckler. This is the last week of the fall session. We will no longer be making deliveries to the Navy League Building, Woodlake Towers or River Towers for the Extended Fall session. We will be delivering to Senate Square, Gangplank Marina, DOT farm stand , NGS farm stand, Belle View Condos, East Columbia Library, Westminster Farmer's Market, and St Luke's farm stand for the Extended Fall Session. Posted 10/13/2017 3:11pm by Gregg Keckler. Come out to the Farm Stand and get great produce and fruit! Come out and buy local farm products from the real farmer! Posted 10/13/2017 3:09pm by Gregg Keckler. Come to the Farmer's Market for great fruit and produce! Posted 10/11/2017 3:46pm by Gregg Keckler. If you are in the area - come out to this new Farm Stand! Great fruits and vegetables throughout the week! Posted 10/11/2017 3:44pm by Gregg Keckler. Posted 10/9/2017 3:21pm by Gregg Keckler. Next week is the last week of the fall session. We will no longer be making deliveries to the Navy League Building, Woodlake Towers or River Towers for the Extended Fall session. Posted 10/9/2017 3:01pm by Gregg Keckler. Posted 10/9/2017 3:00pm by Gregg Keckler. 1200 New Jersey Ave SE Washington, DC. 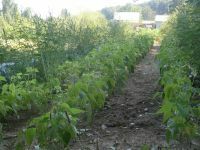 All content property of Orchard Country Produce and Fruit Farm, Inc CSA and Farm Stands.